Lyme Disease is an under researched illness that affects hundreds of millions of people in the United States alone. 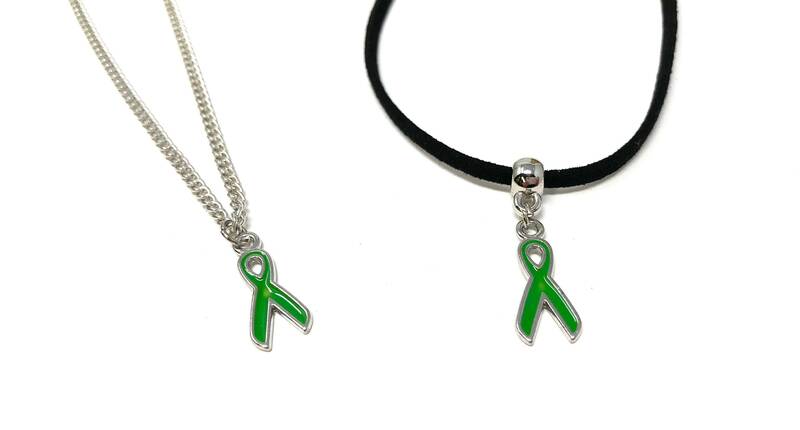 Support the cause and wear green to spread Lyme awareness. Choker option: on 12 inch faux suede cord with 5 inch soldered extender chain.